Does anyone know if it is possible to calibrate the pulse wave and possibly the saw tooth on the Erica Synths Polivoks VCO II? They look a bit off, though I didn't actually hear a problem. I just used an app in my iPhone connected through iRig 2 interface. I have no idea if the waveforms in the app actually shows something that is worth calibrating with. But I don't have a working oscilloscope right now. They look a bit off, though I didn't actually hear a problem. Do you intend to listen to them or look at them? Both! This is my first and so far only vco. 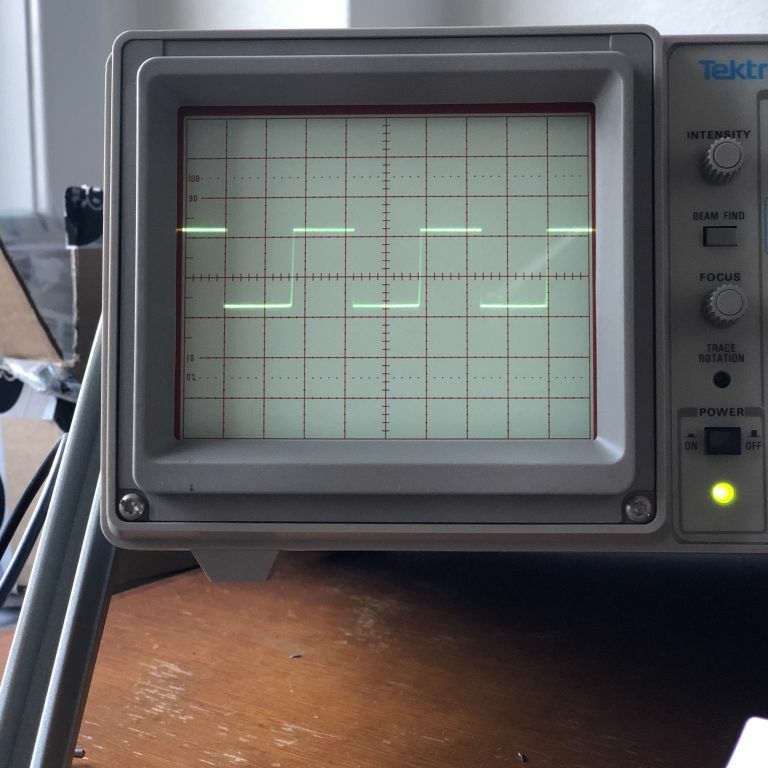 I use the oscilloscope app to learn what happens. Btw, I tried the three trimmers on the component PCB. No change in waveform. GilgaFrank is telling you something important. I really doubt you would hear any difference between the waveforms you're seeing and a perfect version. Also, since this is a Polivoks, what you're seeing may actually be correct for duplicating the Polivoks. It might of course be that polivoks have different waveforms. But here is a video where it looks like the waveforms are much more square than mine. https://youtu.be/djZjjaTktLo about 6 min in. Since I am so new at this (went from zero to building eight modules in eight weeks) the first thing I think is “what did I screw up now?” So I really try to check everything out in detail. Btw, have looked a lot at PM foundations modules. Especially the sequencer. I think the falling top of the square is due to the high pass filtering somewhere in the iRig interface. (coupling caps) Is it DC coupled? What is the freq response? I guess your waves would look better in a "real" scope with a higher bandwith. 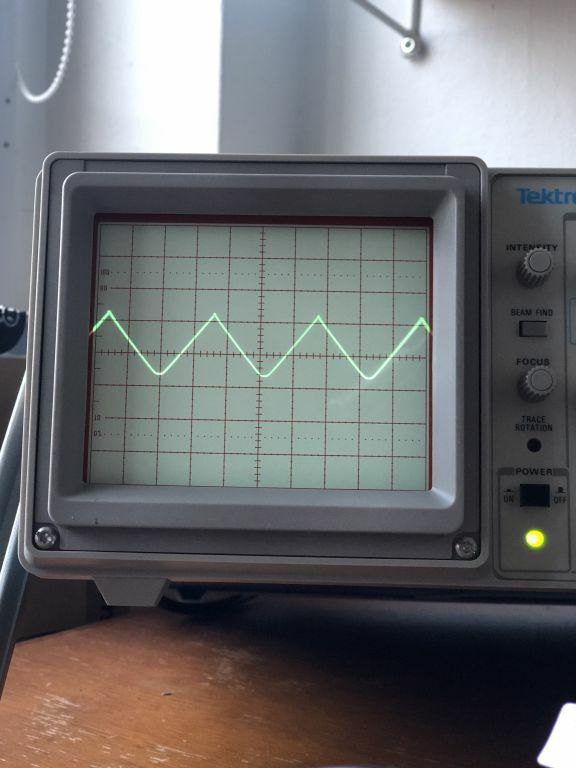 (like from DC/0hz to Mhz) My waves look similar using my 20hz to 16kHz audio interface. Interesting! Yes, that might be the answer. Will try to recheck with a real scope soon. That square looks fine. A lot of analogue VCOs display that sort of tendency. That's what gives me character. Matter of fact, all the waveforms looks as they should. 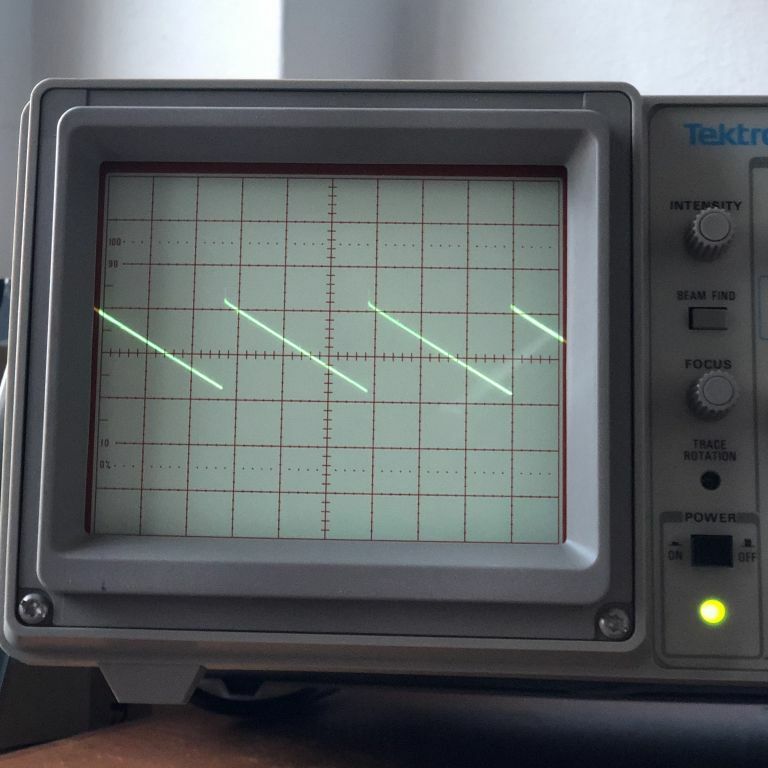 i have the same VCOs and they draw exactly the same graph on my oscilloscope. So, got myself a real scope. This is what it showed! Can someone explain why the iRig + iPhone showed the wrong waves?